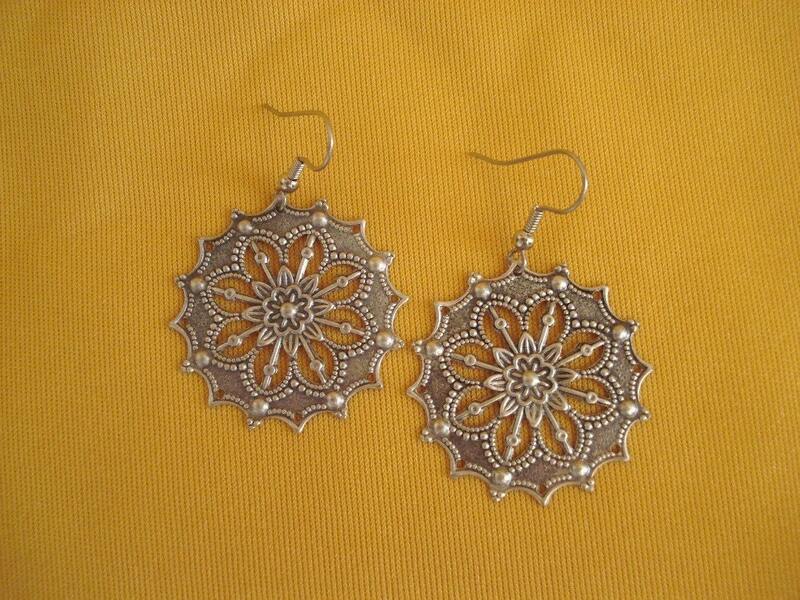 Big, bold but incredibly lightweight antique silver plated earrings. This shape is like a really pretty flower and hangs from a surgical steel earwire. They are a little over 2" long and 1-3/4" wide. I get compliments every time I wear mine!